Summary: September 19-20th, Shandong Provincial Bureau of Statistics Deputy Director Chen Hanzhen, Provincial Bureau of Statistics General Office Deputy Director Song Liping, Provincial Bureau of Statistics General Office Director Zhang Hongtao came to the city to participate in Shandong main venue activities of the eighth "China Statistics Open Day", which take the "Statistics New Motivation, Service New Normal" as the theme. In order to better understand the new industry, new business model, new business model and other new economic innovation and development situation of the key enterprises in Jining City, on the morning of September 20, Director Chen visited Shandong China Coal Group, accompanied with Jining City Bureau of Statistics Xu Xinghua, Deputy Secretary of the Party Committee of the High-tech Zone, Deputy Director of the CMC Liu Zhangjian (presided over the overall work), for the e-commerce development and the e-commerce platform operation. Chairman and General Manager of China Coal Group Qu Qing, Deputy General Manager Han Yong, Li Zhenbo, Deputy General Manager Fan Peigong, Guan Chenghui and other leaders accompanied and reception. September 19-20th, Shandong Provincial Bureau of Statistics Deputy Director Chen Hanzhen, Provincial Bureau of Statistics General Office Deputy Director Song Liping, Provincial Bureau of Statistics General Office Director Zhang Hongtao came to the city to participate in Shandong main venue activities of the eighth "China Statistics Open Day", which take the "Statistics New Motivation, Service New Normal" as the theme. 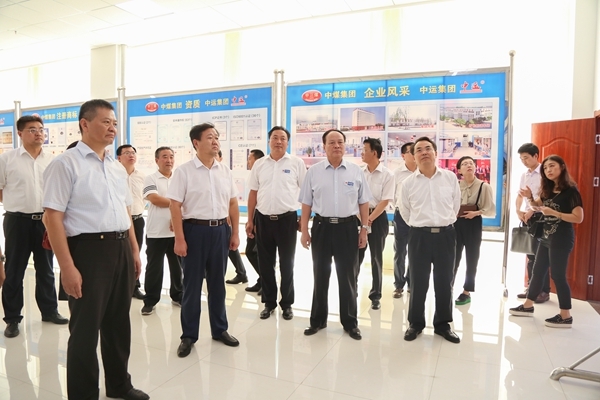 In order to better understand the new industry, new business model, new business model and other new economic innovation and development situation of the key enterprises in Jining City, on the morning of September 20, Director Chen visited Shandong China Coal Group, accompanied with Jining City Bureau of Statistics Xu Xinghua, Deputy Secretary of the Party Committee of the High-tech Zone, Deputy Director of the CMC Liu Zhangjian (presided over the overall work), for the e-commerce development and the e-commerce platform operation. Chairman and General Manager of China Coal Group Qu Qing, Deputy General Manager Han Yong, Li Zhenbo, Deputy General Manager Fan Peigong, Guan Chenghui and other leaders accompanied and reception. 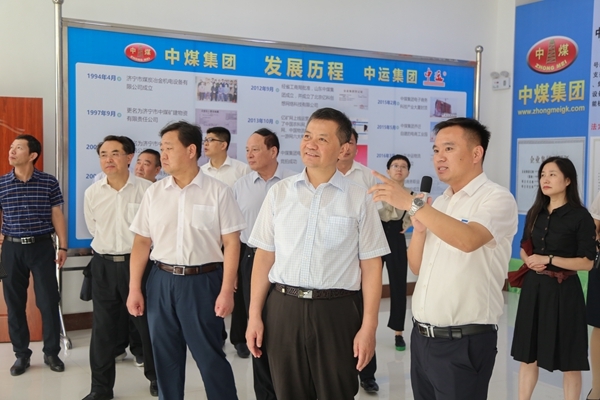 Under the accompany of Manager Qu, Director Chen visited China Coal Group office building, exhibition hall, E-Commerce Company, Cross-Border E-Commerce Company, Network Information Company, Software Technology Company, Weixin Agriculture Technology Company, Kate Intelligent Robotic Company. 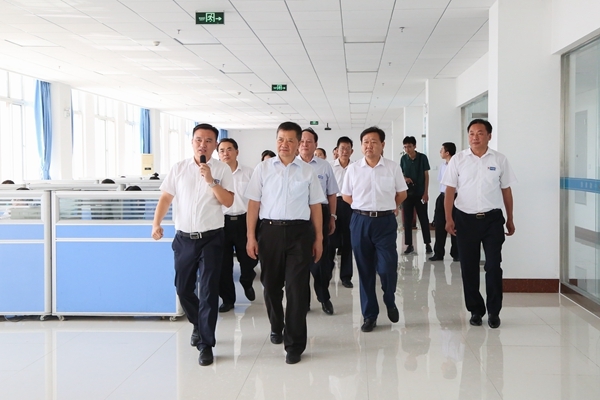 During the visiting, the Group Deputy General Manager Li made a detailed report to the visiting leaders on the development situation of new and old kinetic energy promotion through e-commerce, and focused on the Group's positive exploration and efforts on e-commerce, cross-border e-commerce, new industry, intelligent manufacturing, personnel training. Director Chen gave a high praised to the development achievements of the Group in the field of e-commerce, and expressed full recognition to the Group on adhere to the all-round diversified, multi-field global development strategy. In recent years, China Coal Group closely around the country's development strategy of vigorously implement the innovation-driven, actively develop the industrial supply chain e-commerce, accelerate the transformation of new and old kinetic energy, successfully translate from the traditional sales model to modern e-commerce sales model, pulling the e-commerce of Shandong Province and the National takeoff, and become the industry model of the country through the IOII to help enterprises to transform and development. In 2012, the Group independently developed and operated the world's leading, domestic first industrial and mining machinery industry cross-border B2B e-commerce platform -1kuang.net, which created to fill the domestic and foreign industrial and mining machinery industry cross-border e-commerce public service platform blank. 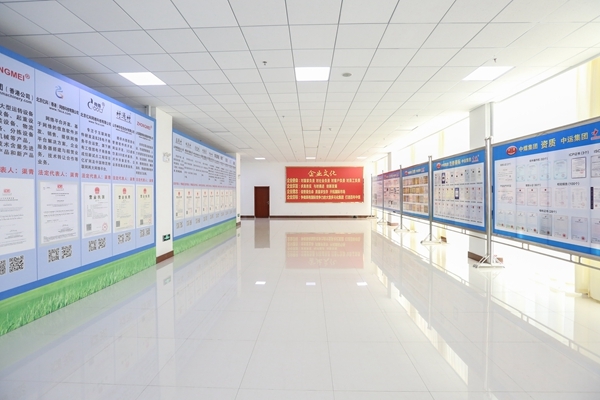 From 2013, the 1kuang.net was selected as the integrated innovation pilot project of National MIIT, and as a cross-border e-commerce key support project of National MIIT, made outstanding contributions to promote industrial transformation and upgrading of the national machinery manufacturing industry, and praise many times by the national leadership. Visiting leadership gave a high degree on the outstanding achievements of the Group in the e-commerce platform creation, and full recognition of the group's contribution in promoting the province's new and old kinetic energy conversion development. Director Xu said, China Coal Group explored a Jining characteristics of the e-commerce development of the road, provided a strong impetus to support for the new and old kinetic energy conversion of the Jining City, Shandong Province. The next step, we hope that the China Coal Group can play a good role in the model for the province's new and old kinetic energy conversion, enterprise transformation and upgrading, and make more positive contributions! Manager Qu said, very grateful to the Provincial Bureau of Statistics leadership fully affirmed in the development of China Coal Group, We must actively respond to national policies, make full use of China Coal Group in the national e-commerce innovation and development of the unique advantages, and share the new and old kinetic energy transformation and development of successful experience, seize the opportunity to make a difference, and better to contribute the strength for the province New industry, new format, new business model and other new economic development!